Whether you’re in a Jozi, as Johannesburg is affectionately known in South Africa, for a day or a week – there’s no excuse not to go all-out for a full-blown adventure! The best part is, you won’t have to go in search of it very far. One of the national jewels of safariland, The Kruger National Park, is just over an hour’s direct flight away into Kruger National Park airport. 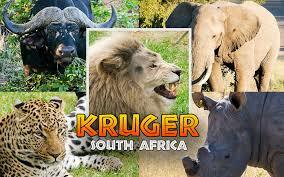 All transfers from Johannesburg to Kruger National Park are similarly uncomplicated. You will have to use private transfers, whether by road, sedan, minibus or aircraft, as there are no rail or public transport direct transfers from Johannesburg to Kruger National Park. As for seeking a thousand thrills, how about one million? World-renowned Sun City famously offered you every kind of adventure you could wish for in one destination. It’s almost too good to be true, but your airborne Sun City transfer from Johannesburg Airport will only take thirty-five minutes. If you’re brave and would like a taste of road adventure by opting for self-drive packages to Kruger or Sun City, the logical thing to do is to get a car rental at Johannesburg Airport. There are at least ten car rental companies at the airport, including international ones such as Avis and Hertz. It is always best to book before the time though, especially if you’ll be in South Africa during peak season. Peak seasons run from November to end of January, and again in March and April. These are the traditional Easter and Christmas holiday times, during which locals also enjoy exploring their country. Hoedspruit Airport is in southern Kruger, while the other two are near to the central Kruger entry points. Hoedspruit for the Open, Maroela, Talamati, Tamboti, Santara or Roodewaal Camps. SA Express has two flights a day. Phalaborwa for the Shimuwini, Boulders, Letaba, Olifants or Balule camps. You’ll likely fly with SA Airlink. Nelspruit (Kruger) Airport for Berg en Dal, Biyamiti, Crocodile Bridge, Malelane, Lower Sabie, Skukuza, Jock Safari Lodge, Lukimbi Safari Lodge or Tinga Game Lodge. Your flight will likely be with British Airways. A giraffe slowly edging its neck down to the water at a waterhole at dusk. Enjoying a rest under an enormous Baobab tree, and understanding its place in African legend. Just be sure to have a glass of Amarula as you enjoy the sunset! Being forced to stop your safari vehicle by a majestic herd of elephants. Watching adult buffalo lock horns. Experiencing the angry red-hot sun go down and the park come alive with the quiet anticipation of the hunt. If you’re looking for airport transfers from Johannesburg in South Africa (OR Tambo) to Sun City, you’re in luck. You’ll fly from OR Tambo Airport to Pilanesberg Airport in thirty-five minutes, and from there it’s ten minutes to Sun City. 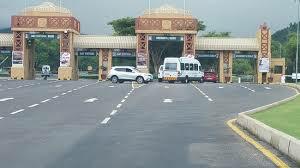 There is no shortage of private, Uber-style taxis in Pilanesberg, and many dedicated tour operators just waiting to ferry you to Sun City once you’ve arrived. Most flights also, in fact, have included in their price the cost of the shuttle transfer to the resort itself. These airport transfers from Johannesburg in South Africa to Sun City are now available four days a week. Sun Central – dine, do business and have fun all at the same time. Explore the South African Hall of Fame as well as the famed Superbowl at Sun City, or enjoy a magic show! Relax at a spa, pamper yourself with some seriously good shopping or chomp on your made-to-order burger at RocoMamas – it’s all happening. The Valley of Waves – this legendary man-made ocean is a spectacle you have to experience first-hand to believe. Tons of white sand were shipped in to create the beachfront at the Roaring Lagoon with its mechanical two-metre high waves. If you’re an adrenalin junkie, you can look forward to near-vertical slides in the Temple of Courage. Even Indiana Jones should think twice! Golf – enjoy a round of golf on a Gary Player-designed golf course. Transfers from Johannesburg to Kruger National Park and for Sun City can also be done by the many shuttle-like services on offer. These are private taxi-like services dedicated to servicing the Joburg-Sun City and Joburg-Kruger routes via road around the clock. Make sure to change your currency into rands though because if you’re paying in cash, it needs to be in the local currency. You can also book these services online. Fees structures vary according to the time of your pick-up, number of people, kind of vehicle and degree of luxury you require. Your road transfer to Sun City will take about three hours and to Kruger it will be just over four hours worth of driving, in off-peak times. It doesn’t matter how you get to these two premier destinations, just make sure you get there if you can!